Have you seen our most recent Employer Profile page? It’s for Hywel Dda University Health Board, and is the first profile page we have made for a UK employer! We have been working in partnership with Hywel Dda during a period of transformation which has seen the creation of a number of new positions. 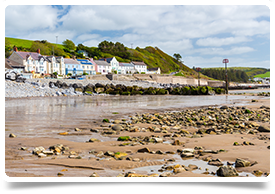 Because this was a drive to find a number of Doctors working in different specialties we have created this profile page to really showcase Hywel Dda and the fantastic work that they do in a very beautiful part of the world. You can read all about this friendly and welcoming Health Board and the services that they provide to their staff and community. Find out a bit more about the beautiful locations that they are based in. There is also an information pack available to download with full details about the Health Board, how to apply to the positions and further information about life in West and Mid Wales. You can also find vacancies and apply directly through the Hywel Dda jobs listed on our site. For information on opportunities in United Kingdom, contact Jo Hood on +44 (0)131 240 5266 or email jo@headmedical.com.